in Carlton Colville is a charming attraction that whisks you right back to the days of trams and trolley buses, in a fantastic setting, with a recreated Victorian street, a light railway, shops, and exhibitions full of fascinating insights into the history of transport. 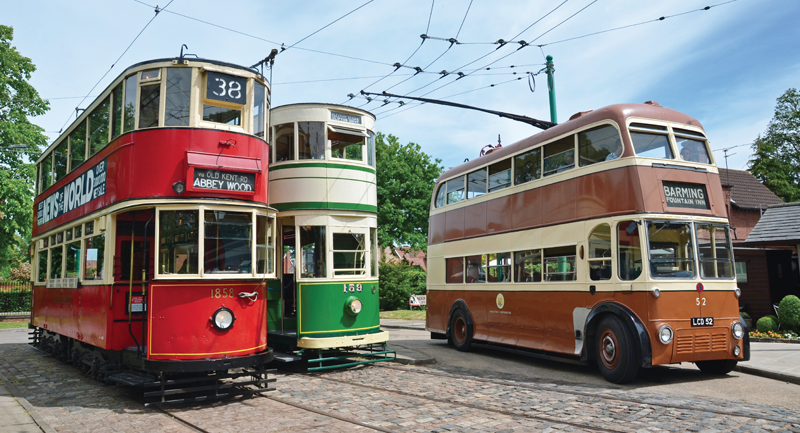 Step past the ticket office into a bygone world, where trams and trolley buses are waiting to take passengers on nostalgic journeys around the cobbled streets. Jump onto a tram, find a seat, and after a short while, you can expect a ding, a dong, and a jolt into action, followed by a smooth journey up the tracks. We visited in the spring, and took the first tram. It travelled past two vintage motor vehicle workshops, a gift shop, two exhibition halls, and a Victorian tobacconist and general store, before entering woodland and disappearing into the trees. Inside the trams are upholstered seats, traditional light fittings, and in the green tram, attractive wooden slatted seats too. The journey was short, sweet, and completely charming. We went to explore the high street, the nearby railway station, and a wagon on display, called Luggage Van No. 14. 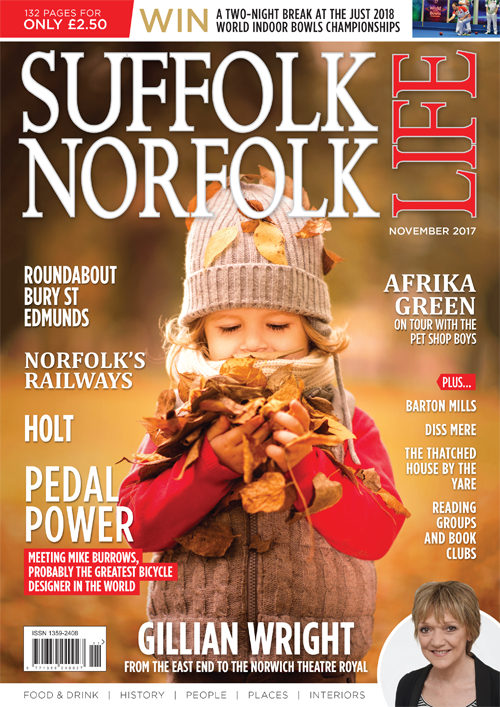 It’s the sole surviving item of Southwold Railway rolling stock, following the railway’s closure in 1929. The carriages were abandoned and later sold for scrap metal to aid the war effort. Then in 1962 Luggage Van No. 14 was discovered behind an allotment wall in Halesworth. It was preserved at the former Southwold Station, as part of the Heritage Train Project.